Congratulations are in order for Cara Santana and Jesse Metcalfe! The stylish duo is officially engaged, and Santana took to Instagram to show off her sparkly ring in the most fashion-girl way. While some people choose to do a ring selfie with a gorgeous beach as the background, Santana decided to go the athleisure route with a workout look consisting of printed leggings and trusty Nike sneakers—how on-trend is that? We happen to love the juxtaposition of a minimal photo with neutral colors and a glistening engagement ring. Santana, as you probably already know, is the definition of a hyphenate: She’s a blogger who runs CaraDisclothed, an actress, and a model with Next Management. Oh, and you might also know her as the co-founder of The Glam App, alongside celebrity hairstylist Joey Maalouf. Is there anything the girl can’t do? We’ll officially be waiting with bated breath for wedding dress photos! Scroll down to see Cara Santana’s engagement ring reveal on Instagram. 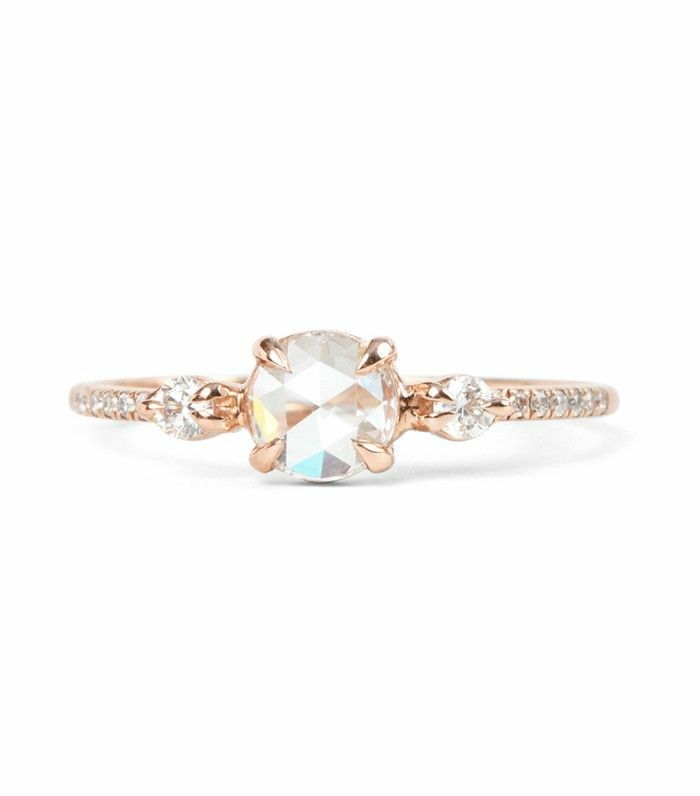 This New York brand crafts the prettiest rings, and this gold stunner is no exception. Six smaller diamonds flank this impressive main gem. Why have one diamond when you could have nine? What do you think of her Instagram reveal? Tell us in the comments below!